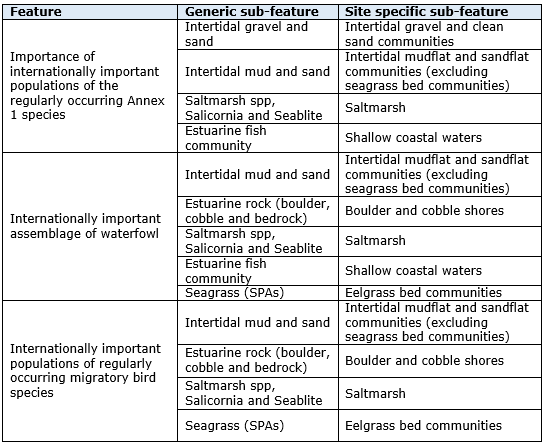 Each phase has slightly different bird features and/or supporting features, but there is sufficient connectivity between the estuaries to include them in a single SPA site (JNCC, 2015). In total, the five SPAs cover an area of 229.38 Km2. The site is large and a variety of fishing methods are undertaken across the site. Commercial fishing, including potting, netting and trawling, occurs within the site. There is low level commercial clam dredging in the river Crouch. The site also boasts an extensive cockle fishery which has been managed under the Thames Estuary Cockle Fishery Order (TEFCO) since 1994. Bivalve mollusc mariculture occurs on the site, specifically for oysters (both native and Pacific) and mussels. Harvesting of bait and shellfish occurs on the shores. 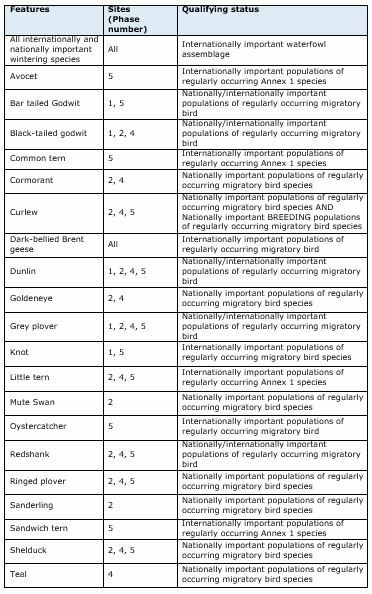 KEIFCA is responsible for assessing the effects of commercial fishing within this site and must implement appropriate conservation measures to avoid damage to EMS by fisheries activities. 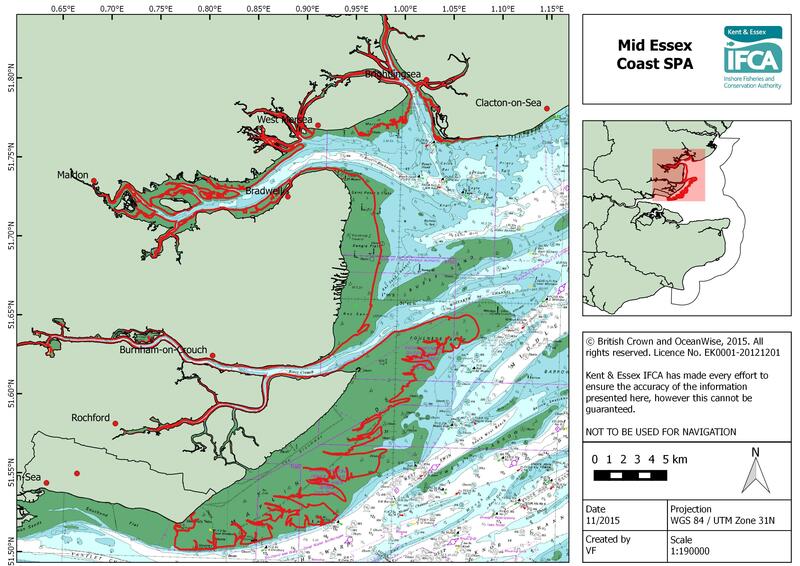 In Mid Essex Coast SPA an area where intertidal seagrass occurs has been identified as at risk of damage from bottom towed fishing gear, and in response KEIFCA have implemented a Byelaw prohibiting the use of this gear over the seagrass feature.